Loomstate !Act Natural! Blog: 321 on StyleCaster! 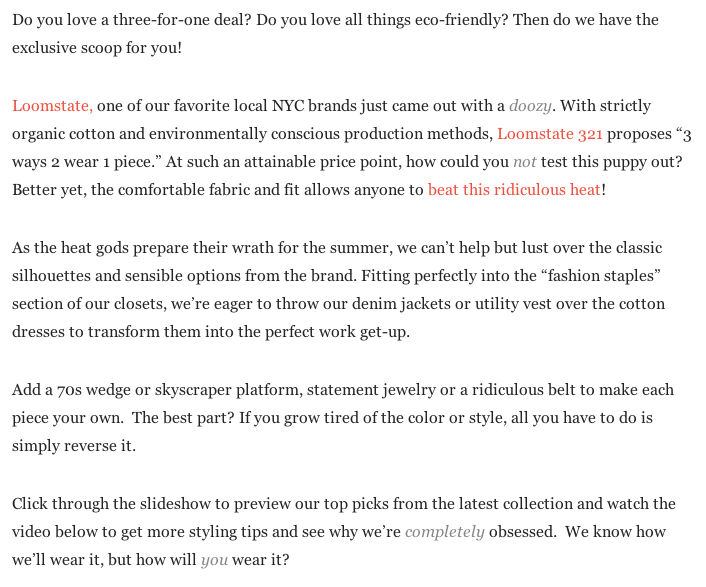 StyleCaster finds Loomstate 321 to be the solution to wardrobe fatigue and a sticky Summer! 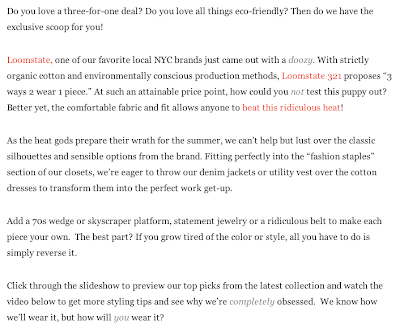 Read the full article at StyleCaster.